Weber is a company that manufactures both charcoal and gas grills. The gas grills made by Weber feature a gas flow regulator where the propane gas tank attaches to the grill. This regulator has a safety switch built into the unit that will restrict the flow of gas in the event that a leak is detected. This safety switch can be accidentally triggered when changing the propane tank, resulting in a grill that will not heat above 250 degrees. Adjusting the regulator to reset it will solve this problem. Turn off all valves. Make sure the control knobs for all burners are turned to the "Off" position, and that the main LP gas valve control knob is turned completely off. 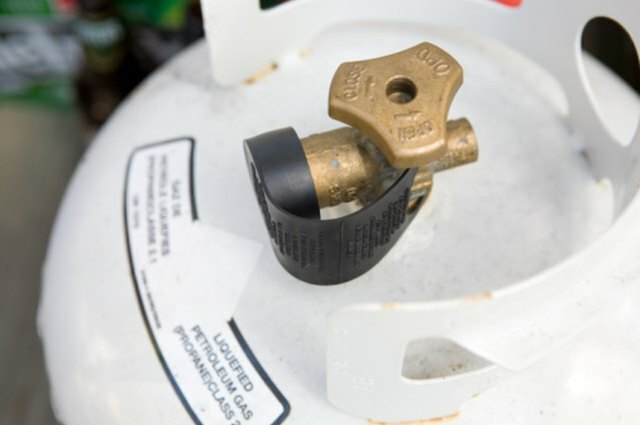 Disconnect the propane tank from the grill. Weber grills use an LP propane cylinder. With the LP valve on the top of the tank turned all the way off, unscrew the regulator to disconnect the tank from the grill. Set the tank to the side. Open the lid of the grill for ventilation. If the grill has been recently lit, allow a minimum of five minutes for everything to cool completely. 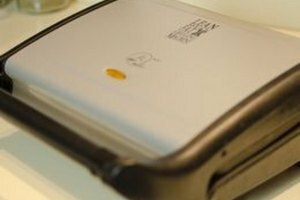 Reconnect the LP tank to the Weber grill. With a fresh connection, the valve will be reset. Because all of the control knobs are turned completely off, there is no air flow to trigger the switch. Supply gas to the grill. Slowly turn the LP control valve on the top of the tank. Turn the valve counter clockwise to open the valve and to increase the flow of gas. Turn the knob slowly until the valve is all the way open. Light the grill. Make sure the lid is still open, then turn the control knob for the front burner until it is all the way in the “High” position. Note that if you are using a Summit grill, you will use the far left knob, rather than the front control knob. 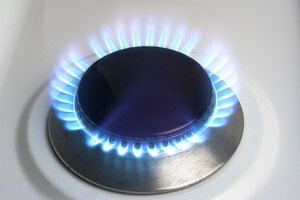 With the knob turned on, press the red “Ignite” button several times to ignite the gas. Ignite the remaining burners. If your Weber grill has two control knobs, simply turn the other knob. If your Weber grill has three control knobs, then light the middle knob first, then the right knob. Close the lid and wait. In 15 minutes, the temperature inside the Weber grill should be 500 to 550 degrees. 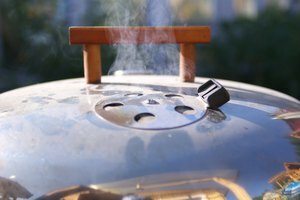 To make sure the safety switch in the regulator is not triggered accidentally again, make sure all valves and control knobs remain off at all times when the grill is not in use. Turn off the control knobs first, then the LP valve on the tank. Do not turn the control knobs back on without the LP knob on, or it will trick the safety switch into thinking there is a leak.